It’s a pretty good week to be a PS VR owner. There are only two completely new releases, but they’re big ones for Sony’s headset, and European fans will finally be getting access to one of the platform’s best launch games too. If you missed last week, you can see those new releases here. Also, UploadVR recently launched the ‘UploadVR PS VR Community’ on PlayStation 4! Join up, find other gamers to play with, and engage in discussions. The makers of Far Cry, Crysis and Oculus Rift exclusive The Climb return this week with their brand new PlayStation VR adventure. Step into the shoes of Robin, a young boy that crash lands on the uncharted planet of Tyson III. Together with your AI companion, HIGS, you’ll explore the treacherous lands in search of other survivors. 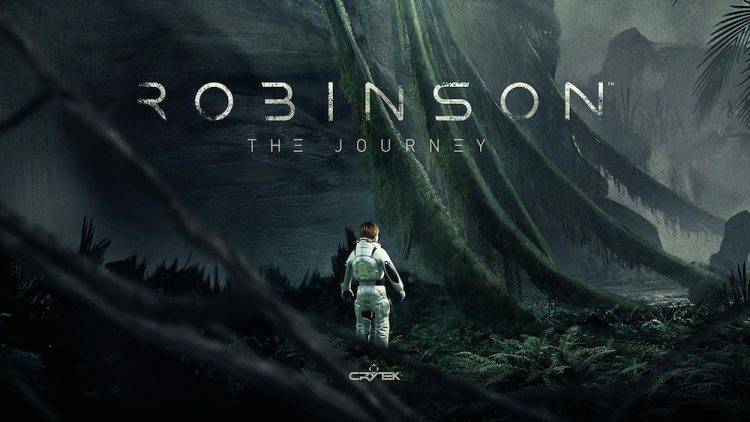 Recommendation: Robinson is a beautiful adventure, though one you might want to wait for a sale on. First released on Rift, now moving over to PS VR. Eagle Flight is the debut VR effort from videogame publishing giant Ubisoft and a compelling first-person flight game in which you explore a beautiful rendition of post-apocalyptic Paris as a majestic eagle. Single and multiplayer modes included. Recommendation: Eagle Flight is great, but be warned it’s somewhat lacking in content. One of the HTC Vive’s scariest shooters makes its way over to PS VR and is mostly intact. Stand on the spot and use two PlayStation Move controllers to aim weapons and pour bullets into mutated beasts. Turn 180 degrees with the press of a button to make sure occlusion isn’t an issue. Recommendation: Brookhaven is one of PS VR’s best shooters for the time being.